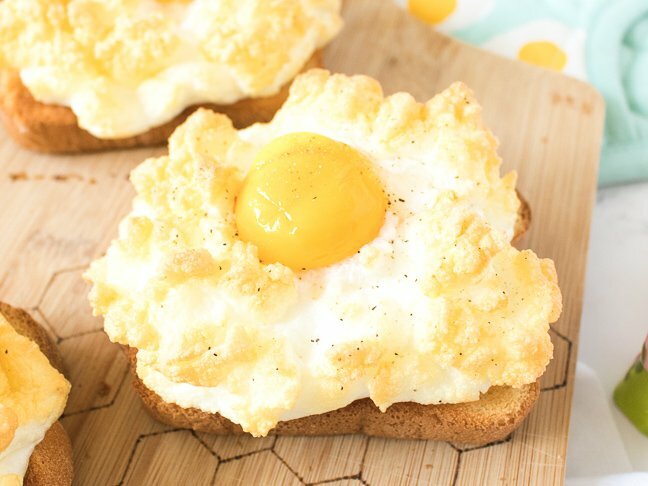 If you haven’t heard of cloud eggs, you’ve been missing out. The Instagram worthy breakfast has surged in popularity recently because they look so good in pictures and they taste even better. 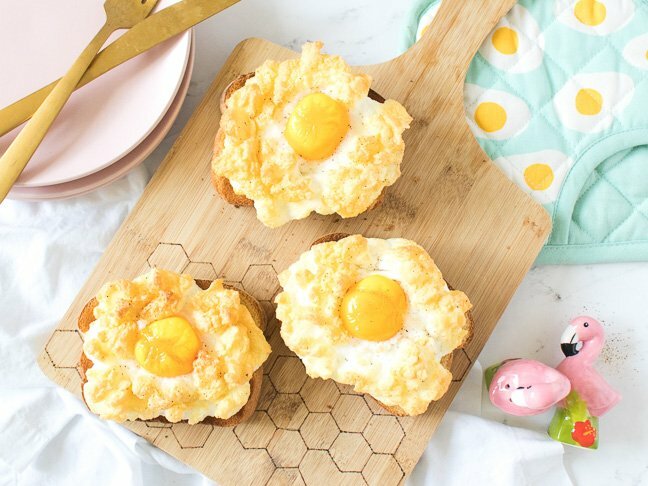 Cloud eggs are a fun way to change up the way you make eggs, and even kids who normally push eggs around their plate will be intrigued by them. They are a protein-packed breakfast that can add some fun to your average morning or some “wow” to your Sunday brunch. Recipes vary, but basically, you take an egg, separate the whites and yolk, beat the whites into a stiff foam and season to taste. 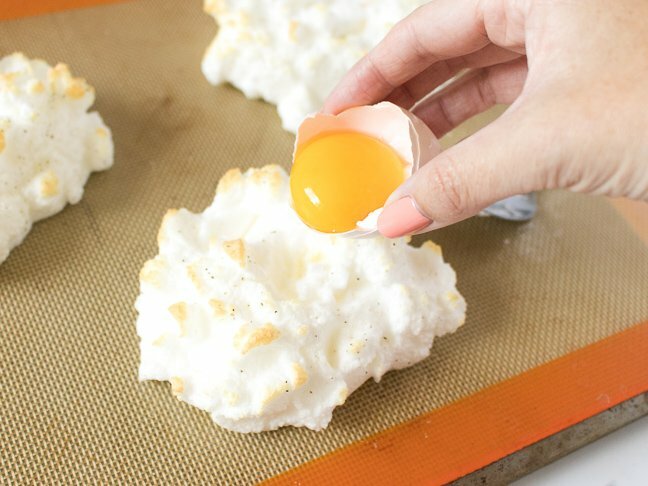 Then you scoop the foam into a cloud-like form on a baking sheet covered with parchment, leaving a hollow in the middle for the yolk, and pop it into the oven. The results are light and fluffy egg whites with a yolk baked into the middle. 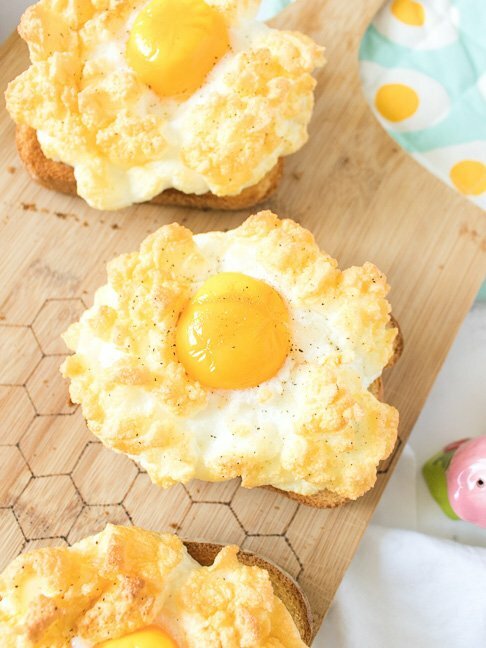 Season the cloud eggs however you’d like! I like to add salt and pepper, then place the eggs on buttered sourdough toast, but you can also add chives, cheese or hot sauce to suit your preferences. As you can see, I let my egg whites brown a bit more because I don’t like yolks to be too runny, but that’s entirely up to you. You can also reduce some of the browning by ensuring your oven rack is centered in the oven. Step 1: Separate the egg whites into a large bowl and leave the egg yolks in the shell. 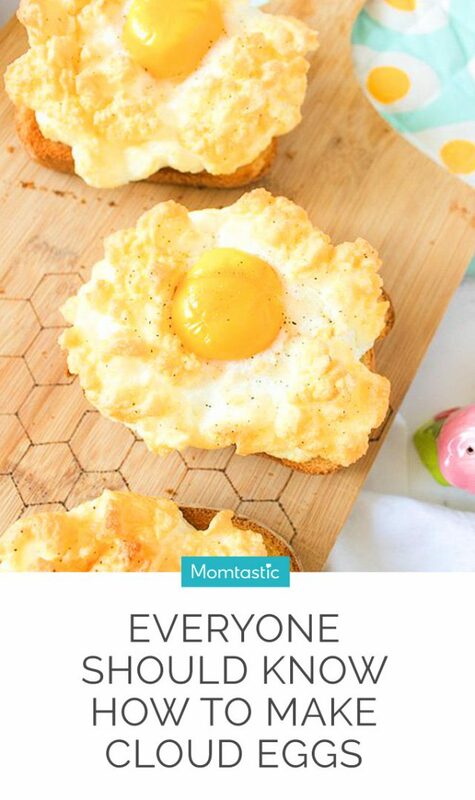 This will make it easier to place the yolk where you want it later. Step 2: Line a baking sheet with parchment or a silicone mat. 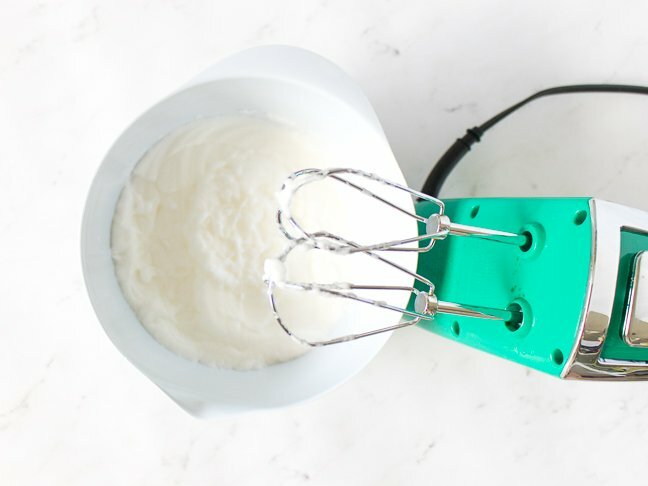 Preheat the oven to 450 degrees F.
Step 3: With an electric mixer (or by hand), vigorously whip the egg whites for several minutes until stiff. They should be moldable so that they hold their shape in the oven. Step 4: Use a spoon to drop the egg whites into cloud shapes the size of your bread on the prepared baking sheet and leave a little dip in the middle where you will place the yolk. Step 5: Bake for about 1 minute, then remove. Add the yolk in the middle of the cloud and return to the oven for about 4 minutes until the yolk is set to your desired stiffness. Step 6: Remove from the oven and use a spatula to move the cloud eggs onto toasted bread. Serve hot and top with any other topping you desire!